Hi! My name is Geoffrey Marchal, and I’m a 3D scanning enthusiast. My background is environmental science, but I’ve been always working on Computer-generated imagery (CGI) as a hobby. 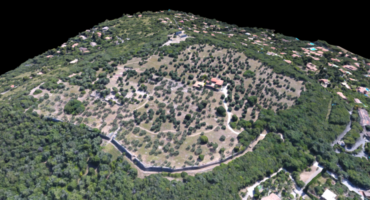 Recently, in 2012, I have realized one of my dreams: to 3D scan the world… Or at least the small bit that I have access too. I have worked on a number of projects that have required the digitization of small to medium scale objects, mainly sculptures and other archaeological items in museum. Even more recently, I have been creating some 3D scans of insect using pictures from the Zoosphere Project. Zoosphere is an amazing project aiming to be repository and web hub for high resolution image sequences of biological specimen (among other goals). If you are looking for amazing set of High Definition pictures of insects, ZooSphere is your place! And be sure not to miss the BIG blue button on some of the specimen to download all the pictures at once! Create a 3D scan using HD pictures and Agisoft PhotoScan. Refine the 3D scan by masking the pictures and cleaning the point clouds. 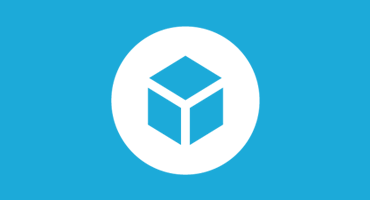 Publish the model on Sketchfab and optimize the presentation. At first glance, this looks very complicated and daunting, I know! But trust me, this is far easier than you think! This is just about loading pictures, using basic selection tools, clicking on a few icons, and waiting for the magic to happen. First things first, go get a set of images from zoosphere.net – here’s a link – by using the download button (below the ‘Send Feedback’). Unzip the file in a directory of your choice. Second, launch Agisoft Photoscan. If you do not have the software, don´t you worry! You can request a fully functional demo version here. 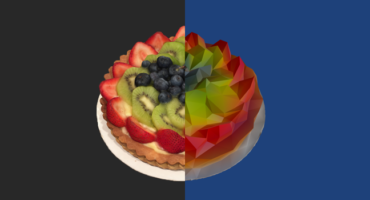 Once you have the software installed on your computer, let’s create our 3D model directly from pictures. For the first attempt, I advise you to keep the default parameters. Load all the pictures at once in the software by going in the Menu > Workflow > Add photos! Next step, Align all the pictures by clicking Menu > Workflow > Align photos. Create the point cloud by pressing Menu > Workflow > Build dense cloud. Building the dense cloud can take quite a long time depending the numbers of pictures, the density of the point cloud, and graphics card. Reconstruct the 3D model by clicking Menu > Workflow > Build mesh. Create a texture by clicking on clicking Menu > Workflow > Build texture. So, as promised, this was really easy! Assuming everything went well, you should now have some 3D to share, but let’s take a closer look at each step to get even better results. Those simple steps will generate a quick and basic 3D scan that may need some editing to make it look really good. To clean up your 3D, you might use other software, but you can spend a little more time in PhotoScan to make your 3D output much better, specifically masking the images and cleaning the point-cloud – both very important steps in the process to get a clean and beautiful 3D scan. So let’s start again by creating a new project Menu > File > New. Once you have the pictures loaded and aligned (Menu > Workflow > Align photos) in the software, start the process of masking each picture – this might be most tedious part of the process but the results are very rewarding. First, you should double click an image in the Photo Pane to enter the “edit mode”. Next we will simply use the Magic Wand tool to select what we want to mask. This is exactly the same tools you can find in any image editing software. Select all the parts of the image that you don´t want to be used for the reconstruction process (all the white background) with the Magic Wand tool. To quicken the process, use CTRL + left click to add several selections at once. When you are happy with your selection, click on the Add Selection button. The mask will appear as a grey area over the image. The mask for each image will be saved in the project, so think to save as many time you can to prevent a loss of work due to an unfortunate crash! Hint: If you make your own pictures, take a picture of the background without the model and this for each row. By doing so, you can use a function in PhotoScan to automatically create a very accurate mask for each picture at once. That will save you a lot of time and effort. Once you have created a mask for each picture, give yourself a pat on the back! Most of the tedious work is done and now you will mainly look at your computer working hard while you drink a coffee. OK, now we are going to create the point cloud. Go in the Menu > Workflow > Build dense cloud. Left all the parameters as it is except for Quality, change Medium by High. High Quality point cloud generation can take quite some time, from 20 minutes to couple hours depending your computer. But this is the longest part in the 3D reconstruction and it is worth it to wait. Watch a movie, go for a walk, do your laundry (? ), whatever! Now we have generated the point cloud, we are going to clean it. Again it is just about using Selection Tools to select unwanted points and then hitting the Delete Key (or Fn+Backspace) to remove them. Look around the model, select lonely points or bits of the background (probably white points in this case) that might remain. This will give us a better result for the next step: generating the 3D model itself! Once you have cleaned the point cloud, you can finalize the 3D reconstruction by hitting the Menu > Workflow > Build Mesh and Menu > Workflow > Build texture buttons, keeping the default settings. Now you should have a wonderful 3D model of Acanthopleura ravus! Export your work as an .obj via Menu > File > Export Model. Choose the file destination, select Wavefront OBJ (*.obj) in the “Save as Type:” drop down and give your model a name. Hit Save and leave all settings as default in the next dialogue popup, but make sure that Export texture is checked. Step 3: Publish on Sketchfab! Last but not least, publish your work! Let the world knows you are making beautiful 3D models! This could not better easier with Sketchfab. If you do not have an account yet, create one. It takes about 1 min and it is for free. What are you waiting for!? Once you are logged in, click on the Upload button in the top right. You can select your files (.obj, .jpg & .mtl) from a folder. An alternative is to simply drag ‘n’ drop all the files onto the browser window. While your model is uploading, don’t forget to give a model name, a description, add categories, and at least 8 tags. Also hit that Allow Download button ON to make your model downloadable. Before publish your model, don’t forget to set up the 3D setting! Otherwise, it won’t look pretty and we don’t want that. In the 3D Settings, first let’s straighten the model. For that, use the Show advanced rotation for more accurate adjustments – use the coloured handles to rotate and align your scan with the grid i.e. so the top of your scan is pointing up etc. For the lighting, I usually go for Lighting Tab > Environment > Tropical ruins. That gives a nice lighting to the scene and you can change the Orientation to get a perfect light. In the Material Panel, I usually use the image texture for the PBR > Specular, NORMAL/BUMP MAP > Bump Map, and Cavity. This adds some bump, contrast and colours to the model – take some time here to explore and adjust sliders until you get something you like the look of. Finally, in the POST PROCESSING FILTER tab, I add some SHARPNESS with a value about 20. I willalso hit the VIGNETTE to focus the attention on the model. Add some BLOOM, I will usually reduce the Intensity value about 6 or 8. And don’t forget the TONE MAPPING as this can transform a model from zero to hero. I use the Linear mode, add a bit of contrast (about 20 to 40), and a bit of Saturation (also about 20 to 40). As always, don’t go overboard otherwise it will just look weird! I hope you enjoy it! Please let me know if this tutorial helped you and how I can improve it. And don’t forget to share your models in the comments below! I would love to see your results! Thanks Geoffrey! Be sure to check out more of Geoffrey’s work on his Sketchfab profile and follow him on Twitter. Skecthfab Master & 3D Scanning Enthusiast. 3D scans are a great way to share cultural heritage with the world!